The house is furnished with an elegant and luxury style, offering guests the highest standards of quality. Characteristic and luxurious fully renovated apartment of 44 sqm on the ground floor of an ancient building of 1905, Via Rasella, located in the heart of Rome between Trevi Fountain, Spanish Steps, Piazza Barberini and the famous Via Veneto and adjoining the Palazzo del Quirinale, residence of the President of the Republic. 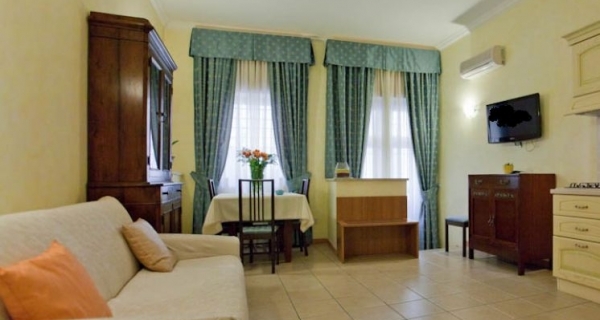 Julia Guesthouse consists of two rooms: entrance, living room with fully equipped kitchenette, dining area with table and showcase antique and sofa bed, double bedroom, bathroom. The house is furnished with an elegant and luxury style, offering guests the highest standards of quality. Equipped with central heating, air conditioning and LCD TV, individual safe. 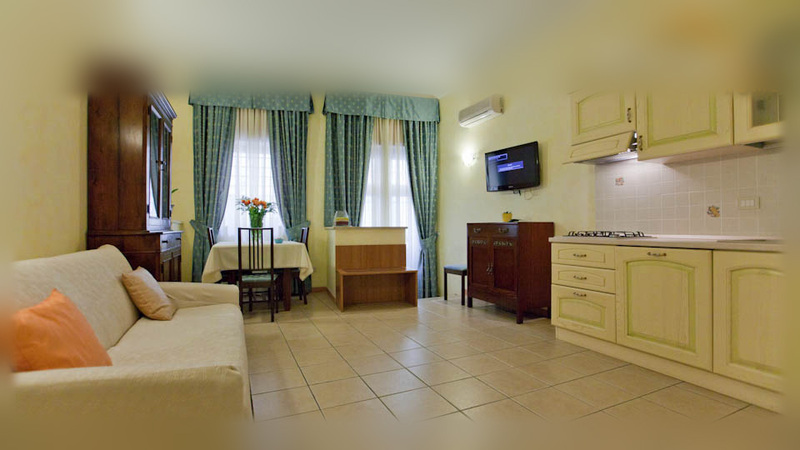 You will spend your vacation in a romantic and quiet place, thanks to the central location of Julia Guesthouse, you will have the opportunity to immerse yourself in the streets and alleys of the Eternal City, to live Rome in all its aspects. Going down the road you will find in the historical center just a few meters from the nearest Metro Line A Barberini and Spain and all buses. 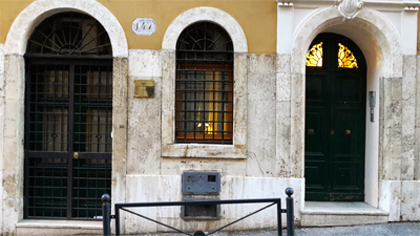 In Via del Corso, Via Frattina and Via dei Condotti you can admire the "signatures" most prestigious "Made in Italy. 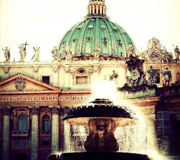 From Fontana di Trevi you can easily reach Piazza del Pantheon, Piazza Navona, Piazza Venezia, Roman Forum and the Colosseum. 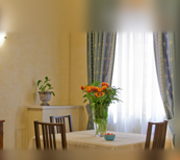 Julia Guesthouse offers the possibility to book tours online at discounted prices. The neighborhood, full of restaurants and refined, pubs, nightspots, clubs, theaters and cinema offers an original painting of everyday life in the eternal city, both day and night. Julia Guesthouse, Hotel Julia and the Bed and Breakfast Domus Julia offers you the opportunity to stay at one of our facilities in Rome.